Dietary supplements are increasingly popular for strengthening the immune system, weight loss, fat burning, but also to increase muscle mass. There is not enough evidence that supplements have some incredible power on our health, this is confirmed by numerous scientific studies. In fact, vitamins or minerals will not prevent the disease, unless they are taken by people who are diagnosed with their deficit in the body. Pharmaceutical companies every year flood the market with a variety of supplements, claiming they are necessary if we want to be healthy, strong and beautiful. Based on the amount of money that is globally spent on vitamin supplements, it is clear that these products are very much in demand. But there is always a dilemma. While some believe that this is a necessary expenditure, others are convinced that this is a pure waste of money. How much are dietary supplements and nutritional supplements actually healthy and beneficial, find out below. When the supplements should be taken? 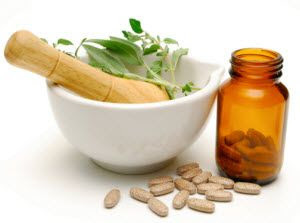 Dietary supplements are used for maintaining or increasing the level of certain nutrients in the body. Content that is entered by supplementation is already in the human body and in the daily diet, only the quantity which is necessary for its normal functioning. Supplements in the diet are complementary, that is concentrated minerals or vitamins and are usually available in the form of tablets. Although they can be purchased without a prescription, it is useful to previously seek expert advice and get informed well on all relevant facts. What you need to know before you reach for a vitamin or mineral supplements? Women who are pregnant and breastfeeding women. Overall, dietary supplements are taken in order to raise energy, slow aging, and reduce the risk of chronic diseases. They are not a guarantee of good health. Many people are aware that due to the fast pace of life, irregular and inadequate food, their daily menu is "enhanced" by the bottle containing potassium, calcium, magnesium, vitamins A, C. Some decide to take this step in order to provide enough nutrients (because they do not often eat fresh fruits and vegetables), while there are those who believe that it will strengthen the immune system and protect against the disease. Dietary supplements can be useful in the case of certain vitamin deficits, where recovery takes a long time and a huge amount of certain foods. On the other hand, to get the nutrients directly from the pill sounds like a simple solution, but these supplements are not a guarantee of good health. What if you overdo it with the daily dose? If taken in doses higher than recommended, dietary supplements can be dangerous to health and life. Good health is provided above all by a correct and varied diet, regular physical activity, and mental peace. It is recommended that the necessary vitamins and minerals taken from food, do not come from supplements, and in this sense the advantage of having fresh fruits and vegetables, fish and other healthy foods comes in handy. Overdose with vitamins can happen only by supplements in the form of tablets (as vitamins are concentrated and taken separately), but not food. It's hard to imagine a man who will eat several kilos of fruit or more pieces of carrot. Even if it did, the consequences would be minimal (if none). Five servings of fruits and vegetables a day gives you an optimal dose of vitamins and minerals. When cooked, the vegetables lose nutritional properties, so it is best to prepare them steamed. Meat is better grilled than fried. It is desirable to avoid large amounts of coffee, because caffeine prevents the body to absorb vitamins and minerals (especially iron). Eat whole wheat bread with added healthy seeds. Two or three times a week, eat fish for dinner. Oily fish (fresh salmon, tuna, trout, mackerel, sardines, herring) has the most nutrients. Avoid processed meats. Ideally, they should be entered through food, in the case their deficits recommended are vitamin supplements for immunity. No matter if you are providing too much or too little vitamins, you will disturb health, and it is important to take caution, especially when it comes to vitamin supplements. Although multivitamin supplements are most used, there is no evidence that people benefit from them, while some studies have shown that they can be even harmful. This primarily applies to supplements that contain vitamin B6, folic acid, iron, magnesium and copper. If it is any consolation, this is a study that did not take into account that many people take high doses of vitamins only when they get sick. If the diet contains plenty of fresh fruits and vegetables, vitamin supplements mentioned are not needed. Vitamin C tablets are mostly harmless. However, 200 mg may increase the risk of kidney stones. It promotes wound healing, strengthens the connective tissue and keeps cells healthy. Despite this, there is no evidence that it is beneficial in the form of supplements. There is research, conducted on several thousand men, which suggests a link between greater amounts of supplements and kidney stones. Extra intake of vitamin C is not required if you eat enough fruits and vegetables. Found in nuts, yeast, wheat and oils. The key to the health of cells. A preferred daily dosage is three to four milligrams. Foods rich in vitamin E protect against heart disease, but there is no evidence that vitamin supplements do the same. It is believed that excessive intake of this vitamin increases the risk of heart disease and prostate cancer. This mineral protects the bones, and is especially needed by middle-aged and elderly. Adults are recommended 700 mg of calcium per day (cup of yogurt or milk). Calcium supplements may be dangerous, especially for people older than 50 years. Elderly absorb it harder, but instead in the bones, calcium can end up in the arteries, and contribute to their hardening and risk of heart attack or stroke. To enter a sufficient amount of precious minerals in the most natural way possible, read our article foods rich in calcium. This mineral is in seafood, meat and grains. The lack of selenium in the body is associated with the appearance of early dementia and weakening of the immune system. Men must have only 0.75 mg per day and women about 0.6 mg, the amount of which can be obtained from the daily diet. High doses are associated with the development of type 2 diabetes, so that the dietary supplements should be taken at the recommended doses. It is the pigment that gives the orange and yellow colour to fruits and vegetables. The body converts it to vitamin A, which is essential for good vision, healthy skin and a strong immune system. It is a natural antioxidant, and is taken as the prevention against cancer, but there is no evidence that supplements of beta-carotene have a protective effect. In large doses they are harmful (skin can have an orange tone, cause dizziness and stomach pain and joint pain). Iron supplements are not harmful if consumed in the recommended amounts. People who eat foods rich in these minerals have no need for them, but anaemic person must additionally take them. Always consult your doctor before taking the medicine with iron and look for a recommendations for dosing. Too many supplements can be harmful, even dangerous, and cause nausea, diarrhoea, liver problems. Allowed entry of minerals for adults is 45 mg per day, or, if necessary, your doctor may prescribe a higher dose, when it is necessary. Today increasingly popular are supplements in the chrono nutrition, which became very popular in the Europe. Learn more about chrono diet.